Fill this elegantly styled urn with spike grasses, trailers and colorful annuals for a dramatic effect by the front door or on the deck. A pair flanking the front door is splendid. 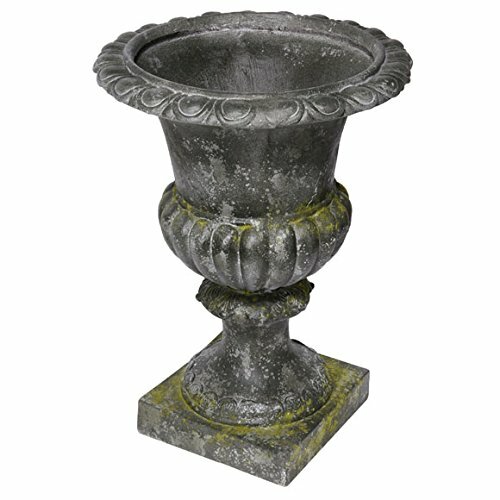 This gorgeous Planter Urn will make an impressive addition to any room or garden. Slate gray finish. Made of 60% magnesium, 20% inorganic, 20% fiber. Measures D16"x22". If you have any questions about this product by A&B Home Group, contact us by completing and submitting the form below. If you are looking for a specif part number, please include it with your message.